(NewsUSA) – Today, nearly 41 million adults in the U.S — that’s 1-in-10 — wear contact lenses, a safe and popular form of vision correction. However, when they do not use lenses as directed by an eye doctor, the consequences can be dangerous and can even damage the eyes. Many contact lens wearers are guilty of a number of serious bad habits. According to the American Optometric Association‘s (AOA) 2015 American Eye-Q consumer survey, 59 percent of contact lens wearers admit to wearing their disposable contact lenses longer than they should. Not following an eye doctor’s recommended changing schedule can cause permanent eye damage from bacterial infections and oxygen deprivation. Taking proper steps when wearing and caring for contacts helps keep the eyes healthy. The AOA recommends wearers: * Wash and dry hands before handling contact lenses; * Use cleaning solution to rub the lenses with fingers and rinse thoroughly before soaking lenses overnight in multi-purpose disinfectant solution; * Store lenses in a proper lens storage case and replace it every three months; * Use fresh solution to clean and store contact lenses — never reuse old solution; * Use products recommended by your eye doctor to clean and disinfect your lenses; * Follow the recommended contact lens replacement schedule prescribed by your eye doctor; and * Remove contact lenses before exposing them to water. Another thing to remember is contact lenses aren’t just for adults. Eye doctors agree most children between the ages of 10 and 12 are mature enough to wear and care for contact lenses, but even some younger children are capable, especially with daily disposable contact lenses. The AOA is also warning about the risks of wearing non-corrective, decorative contact lenses that often times are acquired illegally through vendors that don’t meet quality or safety standards. While many people may consider these lenses a fashion or costume accessory, in reality, they are also classified as medical devices and pose the same safety and health issues as corrective contact lenses. Eye doctors urge wearing only decorative contact lenses that are prescribed through an eye doctor. Illegally purchased lenses can result in significant eye damage, which could lead to irreversible sight loss. 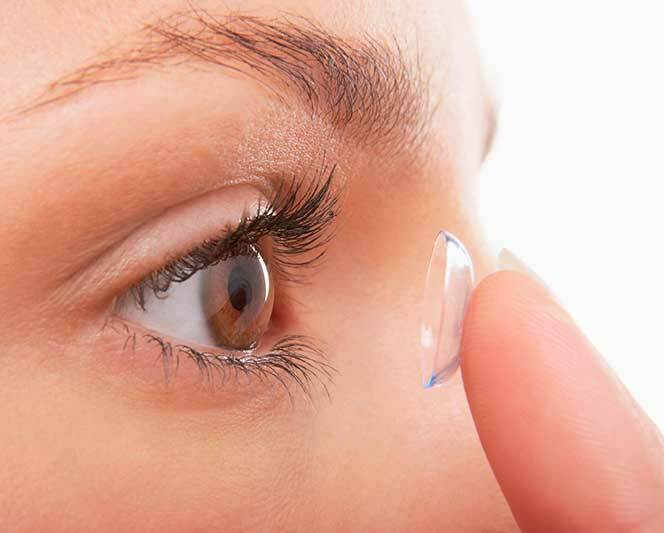 For more information about contact lens hygiene and safety, as well as the risks associated with decorative contact lenses, visit www.aoa.org.